1. Start with a basic email marketing platform. If you’re not already doing email marketing and you’re just getting started, I suggest using a BASIC platform. This would include Aweber, Constant Contact, Mail Chimp, etc. Generally, these platforms will run $10-$50/month for email marketing. This is a great place to start as you’re just getting your business email marketing off the ground. 2. Graduate to a sophisticated platform. Eventually, you’ll need to “grow up” and move into a more sophisticated email marketing tool. I personally use and recommend Infusionsoft because it’s “all-in-one” technology makes the whole process a lot easier to manage. 4. Start with a monthly email newsletter. A monthly email newsletter can simply be a direct email from you or a more sophisticated, formatted email with lots of different content. This depends largely on the type of business you’re running and how you communicate with your prospects. 5. Add-on a weekly email newsletter. Once you start segmenting your list and you know who your most engaged prospects and customers are, you can layer-on a Weekly Email to your most engaged prospects. 6. Be personal and unique. This is key. Be sure your email marketing has a personal touch. In my experience, using a real person’s name has the greatest impact on open and click-through rates. 7. Limit graphics whenever possible. This is a tricky one. If you’re running an ecommerce site, then you will want to lean more towards graphics-based emails. But otherwise, I would encourage you to reduce the overall HTML of your emails to increase their performance. 8. Watch for hard bounces (and soft bounces). One more thing I love about Infusionsoft is it allows you to easily manage your hard bounces and soft bounces. Be sure to check with your email provider about how these are managed in your system. 9. Test deliverability to Gmail. Always, always, always send test emails to your own Gmail Email account just to see how they perform. Gmail will give you an idea of whether or not your emails are going to land in the inbox or some other “Promotions” tab for example. 10. Ask your subscribers to confirm their email. This is a MUST-DO these days. 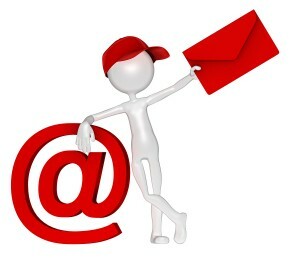 Confirmed email subscribers are far less likely to mark your email as spam and far more likely to engage and to buy. I hope these are helpful. What else would you add to the list? Type your comment below. Double Opt In vs Single Opt In – What’s Best For Your Email Marketing? I would like to point out that its important to test with a seedlist, it has been shown that even if you test with a few accounts, you get incorrect data. You could have 2 inbox landing with 2 different accounts, but in fact if you were to run the same test on a seedlist with 10 accounts, you might realize that out of 10, 3 are in the inbox, and 7 are in spam or promotion. There are service out there specialized in that stuff such are returnpath, edatasource, inboxtrail, emailonacid etc .. Thanks for the great tip, Mike. That’s an excellent point, especially for large mass broadcasts, etc.